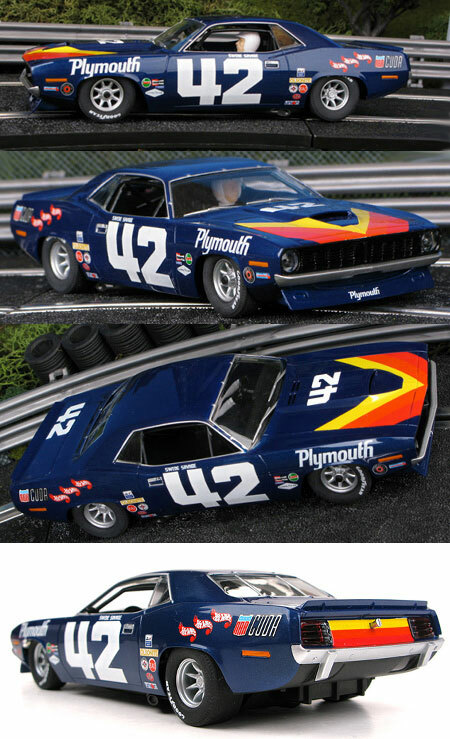 Two of the most famous and colorful cars of the TransAm series's golden era of the late 60s and early 70s were the two Plymouth Barracudas campaigned by Dan Gurney's All American Racers in 1970. That year was the high-water mark of the series with factory teams from every US manufacturer. 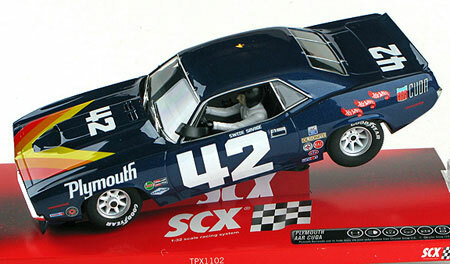 This car is a model of the #42 car driven by Swede Savage, and it's ready to run on your SCX digital layout.